Consent-based Governance is a Great Choice for Collaborative Networks. Here’s why. 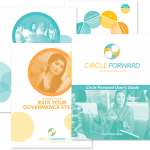 by Michelle Smith | Jul 5, 2018 | Governance Networks, What is Circle Forward? by Michelle Smith | Jun 4, 2018 | Collaborative Decision-making, What is Circle Forward? by Michelle Smith | Apr 9, 2018 | What is Circle Forward?